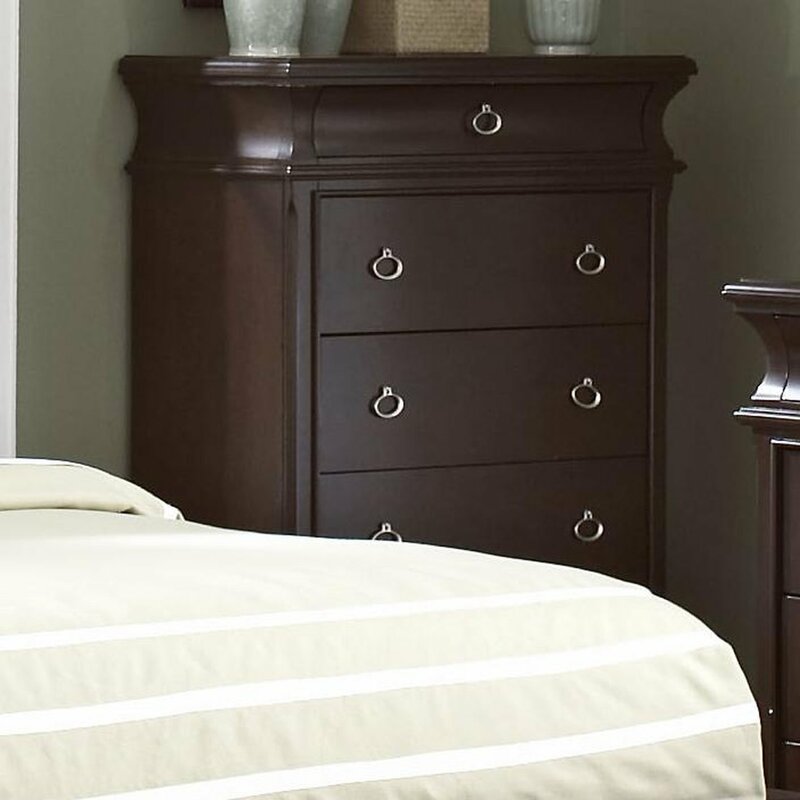 Enhance your bedroom's traditional appeal with this classic chest. You'll find all of the storage space you need within the chest's five drawers, including a smaller drawer that's the perfect size for holding jewelry or other small accessories. Large block feet create a sturdy base, while crown molding at the top exudes a stately presence. Finished in a rich brown walnut color, this chest marries function and design to envelop your bedroom in convenient traditional styling.